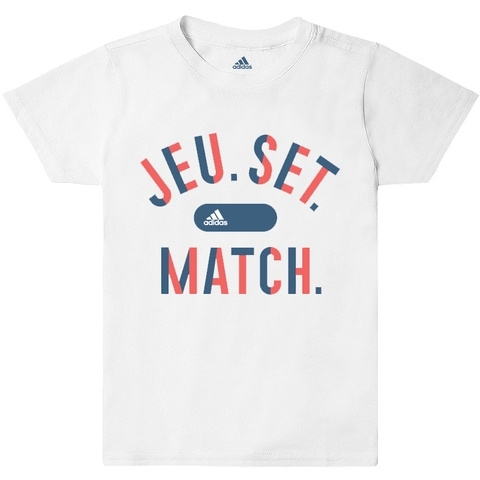 This Roland Garros tennis tee embodies the spirit of French culture through the use of vibrant color. adidas tennis tee made in lightweight / breathable fabrics that will keep you cool on summer days. Crew neck, soft feel fabric for comfort and adidas logo on chest.